It will last until 1 April. 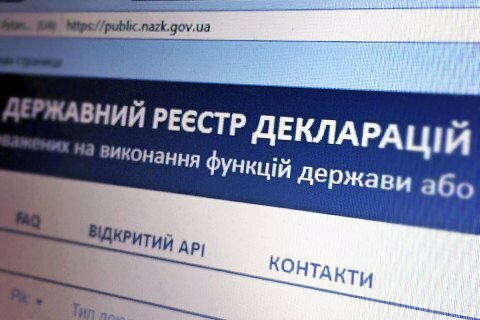 Ukrainian government officials and councilmen will submit electronic reports of their 2017 incomes and assets during another three-month stage of e-declaration, the National Agency for the Prevention of Corruption said in a statement on Tuesday, 2 January. In particular, e-declarations will be submitted by the president, the speaker of the Verkhovna Rada, the prime minister, all ministers and the deputy prime minister, the head of the Security Service, the prosecutor general, the head of the National Bank, and heads of other government agencies. The list of those who are obliged to submit e-declarations includes managers and members of government agencies working in the field of prevention of corruption. According to the amended e-declaration law, they must start submitting their declarations in 2018. Under the law, deputies of local councils, heads of state-owned companies and other officials who did not file e-declarations in the fall of 2016, will have to undergo the procedure before 1 April. Earlier, a court recognized as legitimate the closure of public access to the declarations of employees of the military prosecutor's office. Five shelling attacks, no casualties in ATO.